Tranquility. Awareness. Jewish identity. Family. Shabbat is a gift. Set apart from the constant movement of the workweek, Shabbat is an island of rest and inner-peace. It gives focus and revitalizes the spirit. In fact, it is often said, "More than the Jews keep Shabbat, Shabbat keeps the Jews." It is a time where all Jews can come together in a celebration of all that was accomplished during the week, all that is to come in the week ahead, and the oneness that propels us through it all. 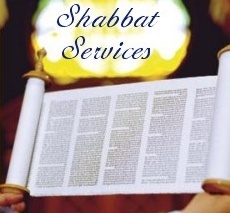 Always growing in popularity, Shabbat at Chabad is an experience you cannot miss. With Torah reading starting at 9:15 am and services finishing at 10:15 am, our 1 hour service is informal, friendly and sociable. You are more than welcome to come to Shacharit before the Torah Reading which begins at 8:30 am. Services are followed by a Kiddush Buffet.